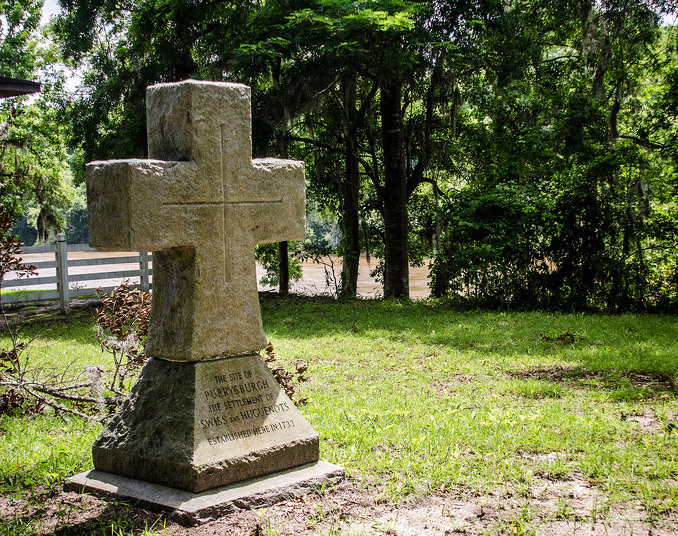 A cross-shaped marker of stone stands on a low bluff overlooking the Savannah River. This marks the spot of old Purrysburg. The monument was erected in the 1940’s by the Huguenot Society of South Carolina. Close by is the original cemetery, which is still in use today. The oldest tomb is dated 1781. In 1731 a group of 600 Swiss colonists migrated to this spot. The monument stands proudly to remind visitors of the hardy folks that struggled to put down roots, many of which went on to become prominent landowners and rice planters. 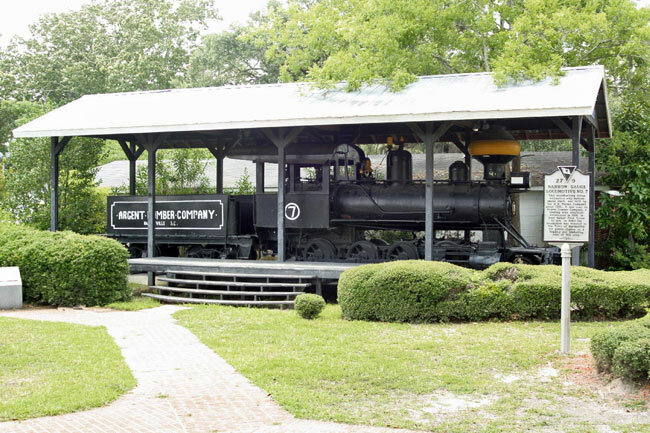 The Argent Steam Engine “Number 7” was donated to the town of Hardeeville after the Argent Lumber Company closed in 1960. This narrow gauge train with a balloon smoke stack was built around 1910 by the H.K. Porter Company. The train is very rare and attracts tourists from across the nation. “Number 7” was used by the Argent Lumber Company to haul timber from the forest to the mill. This train engine is a wonderful relic for the logging and lumbering industry of this area. The train engine is on display at City Hall and can be viewed during daylight hours. 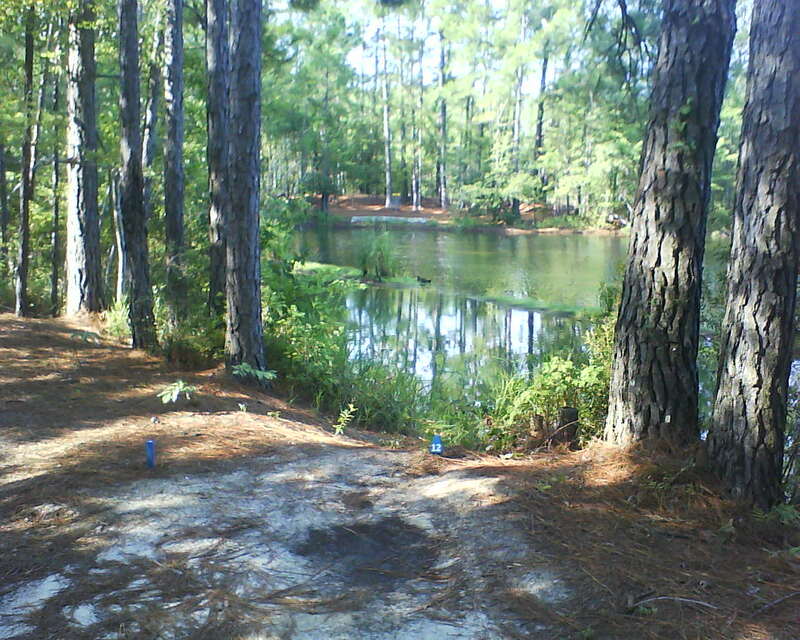 Located just off Interstate 95, this 321 acre park features beautiful nature scenery. Wildlife abounds in this pine forest. An observation deck overlooking the pond is the perfect spot to locate and watch birds and other water-loving small animals. Walking trails lead visitors around a large pond which is great for fishing. Kayak and canoe rentals are also available. An 18-hole championship disk golf course is also located within the park. 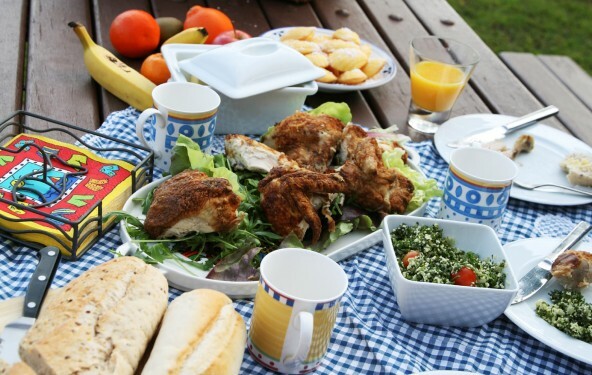 Sgt Jasper Park has wonderful picnic facilities. A covered shelter holds tables, grills and trash receptacles. 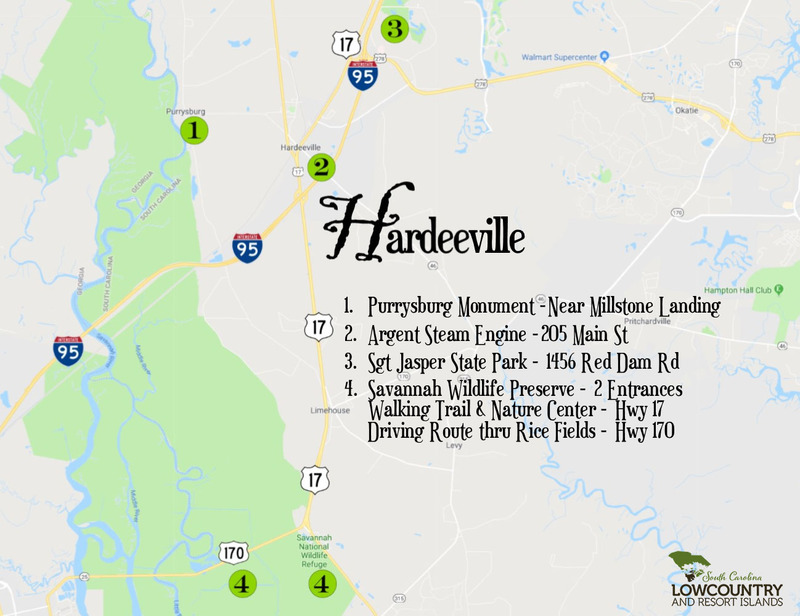 (Hwy 17 between Hardeeville & Savannah) open daily during hours of daylight. Savannah National Wildlife Refuge is the home of over 29,000 acres of freshwater marshes, tidal rivers and creeks and bottomland hardwoods. 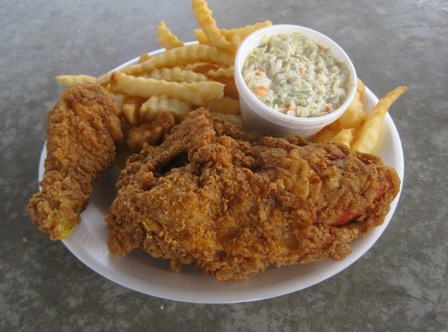 The refuge is located in the heart of the Lowcountry, outside Hardeeville near the Savannah River. Known for its rich flora during the summer months, the refuge supports a diverse wildlife population. During the winter months, many species of ducks migrate into the area. In the spring and fall, transient songbirds stop briefly on their journey to and from northern nesting grounds. 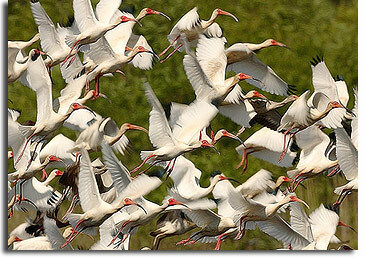 Bald Eagles and Egrets, Kingfishers and many other other fish-eating birds call the refuge home. Alligators are also in resident on the refuge. The driving tour takes visitors through historic rice fields. It is located on Hwy 170. The Visitor Center on Hwy 17, between Hardeeville and Savannah, is open Monday through Saturday, 9:00 am – 4:30 pm. There is also a nature trail at this location.